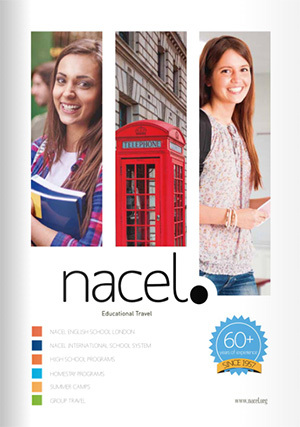 High school exchanges and study abroad with Nacel. Choose a program and start exploring opportunities abroad. Live with a host family or in a boarding school and study abroad for a term, a semester or an academic year: apply now to one of our unforgettable high school abroad. The best way to learn a foreign language: live at your language teacher's home and get one-to-one home lessons. 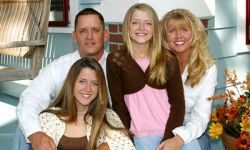 Share the everyday life of a host family abroad thanks to our homestay immersion programs. Book your junior language courses abroad. Spend your next summer vacations to study a foreign language and discover a new culture and country. Study with students of your age and stay safe with our caring and supporting staff. Book a language course in one of our international language schools abroad: best price for value guaranteed! Choose your destination, the length of your stay as well as your accommodation. Design your own study program and live a new language! Embrace another culture through volunteer work while improving your second language skills. Improve your language skills, practice sports and have fun in one of our summer camps abroad. Meet students of your age and from all around the world! I loved surfing with this program and especially I feel much more comfortable in Spanish. This Summer Programme is great! I can’t believe how much I have learnt in such a short time! My favourite lesson was at the Bank of England, as it was so interesting. I also loved seeing the Royal Family at Madame Tussauds. I stayed with a host family who were so friendly and helpful. I feel really happy. We perform a rigorous program selection to offer you the best quality at fair, negotiated prices, with a clear presentation of what is and is not included in each package. Our experienced, multilingual advisors will help you find a program tailored to your requirements and to ensure that your trip is organized to suit individual needs. Our 24-hour emergency phone number and network of local representatives, guarantee our service and commitment to provide assistance at all times during your trip. Nacel has over 60 years creating unique cultural, educational and linguistic experiences for students from all over the world. Every year Nacel welcomes students from different races, gender, and social backgrounds. Our main goal is to promote among young international students an education offer that will contribute to their educational and personal development.